Nile Creek was known locally as the Pink River, due to the huge numbers of Pink Salmon returning to spawn. Since that time, fewer and fewer fry were living long enough to make the trip out to the ocean because of fluctuating water levels during the summer and fall and extreme turbulence during winter rainstorms. 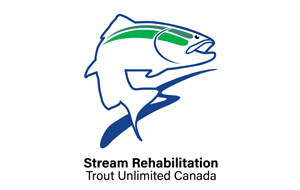 By 1994, there were no Pinks, few Coho and only some Cutthroat Trout. The initial idea for the restoration and enhancement of Nile Creek came from potential destruction from development due to lack of adequate protection. This led to the formation of the Nile Creek Enhancement Society. 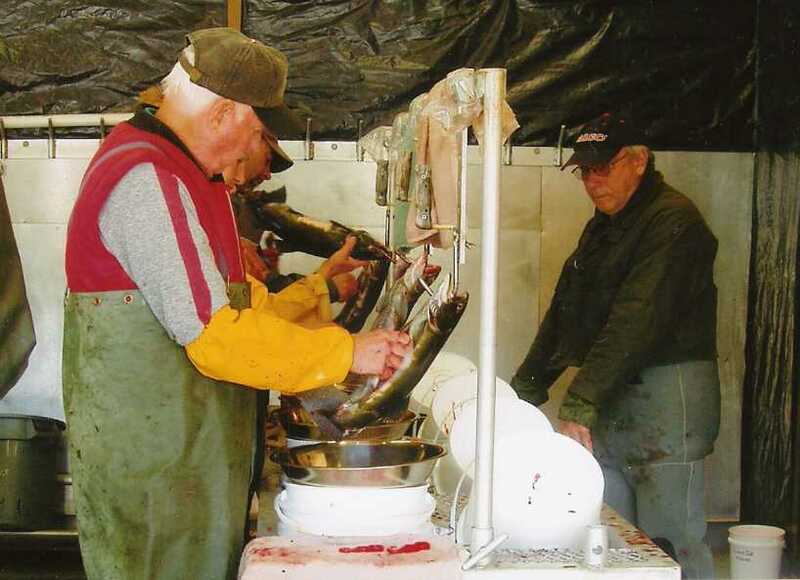 Scooping Fish from Through to the transfer bath. 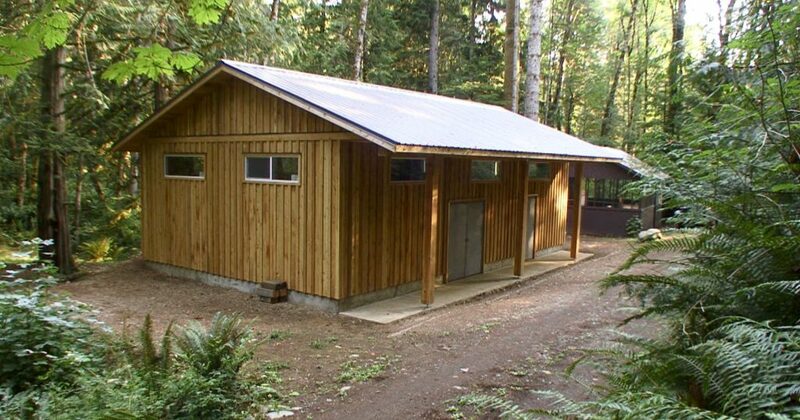 On the recommendation of the Department of Fisheries & Oceans (DFO) to incubate Pink salmon, a shelter was built over an incubation box in January 1998. In 1999, a 600-metre extension side channel was built with the addition of spawning gravel. This allowed spawning salmon an easier route to spawning beds without having to fight the rushing waters of the main river. Between 1998 and 2003, another side channels and rearing ponds were built and remain, to this day, valuable habitat for spawning salmon and fry. In addition to Pink salmon, these ponds and channels are inhabited by Coho, Chum, Searun Cutthroat Trout and Dolly Vardens. 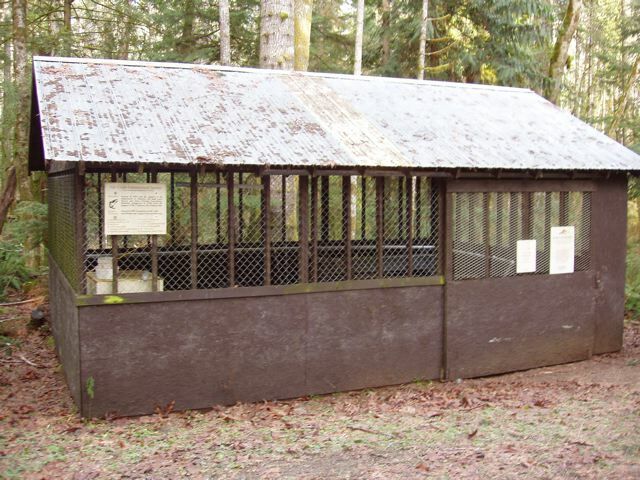 In 2009-2010, a new hatchery was built to replace the old shelter. 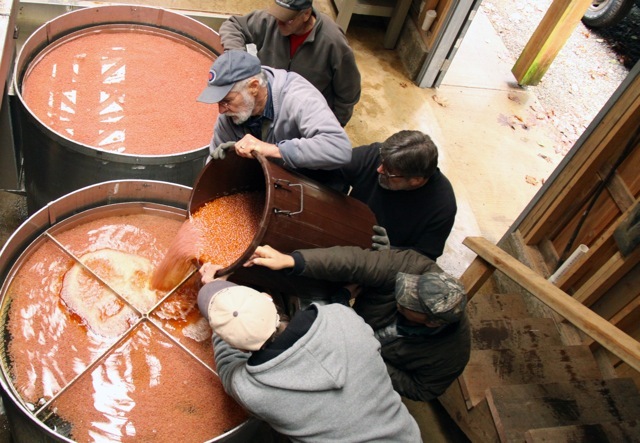 Every September, volunteers drive to the Quinsam River Hatchery outside Campbell River to strip eggs from ripe female Pink salmon and fertilize them with the milt of the males. These eggs remain at the Quinsam Hatchery for a couple of weeks until they are able to survive travel to the Nile Creek Hatchery. 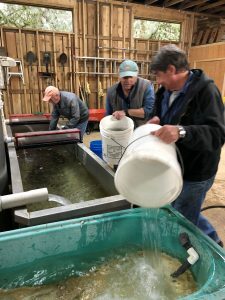 The eggs are placed in the incubators, where they stay until early spring, when, as fry, they go directly into Nile Creek and head out to the estuary to feed until are able to begin their migration.